Buying your first home is a major milestone in your life, similar to graduating high school or moving out of your parent’s house. When you buy a property, you are making a long-term investment decision in your future and potentially taking the first step toward your future financial security. 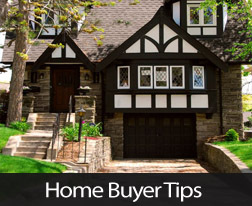 However, buying a house before you are ready can actually be a negative move that puts a cramp in your plans. It is important to assess where you are in life, so that you know whether or not it’s the right time to buy a house. Some people buy their first home at 21, others at 30 and some might continue to rent for the rest of their lives – the decision depends on personal circumstances. But how can you determine for yourself whether you are ready? Is your credit score looking healthy? Have you paid off your credit card debt, student loans or personal loans? If not, it is important to clean up your finances and pay down your debts before you start looking for a home, or you will be adding a mortgage on top of the debt before you are able to handle everything. Just because you can buy a home for as little as 3.5% down payment, doesn’t mean that you should. You will have your dream home, but your mortgage payments will be so high that you won’t have any money left over for repairs or improvements. Also, you will end up paying thousands of dollars more in interest over the length of the loan. The bigger down payment you can save, creating equity in your home, the better. Financial experts recommend that you never take a monthly payment that is more than 25% percent of your take home pay – including taxes and insurance. Stretching yourself thinner will leave you little room for error and if your income drops for any reason – you will quickly find yourself in hot water. Could you see yourself settling in this location for the long term, or are you still considering moving elsewhere in the country or living abroad? Buying a home is a long-term investment, so if you think that you might possibly move somewhere else in the next five years, you might want to think twice about buying a home and rent instead. These are just a few of the signs that you are ready to purchase your first property. For more information, contact your trusted real estate professional.